Karen McMullin of the Utah Division of Securities, a division of Utah’s Department of Commerce, visited David Starling’s 5th period class today with some good news. Three of his Computers in Business students had won first, second, and third place in the InvestWrite Award. As she announced our winners, McMullin spoke a little of each student’s entry, which was an essay detailing an app they would like to invent and program. 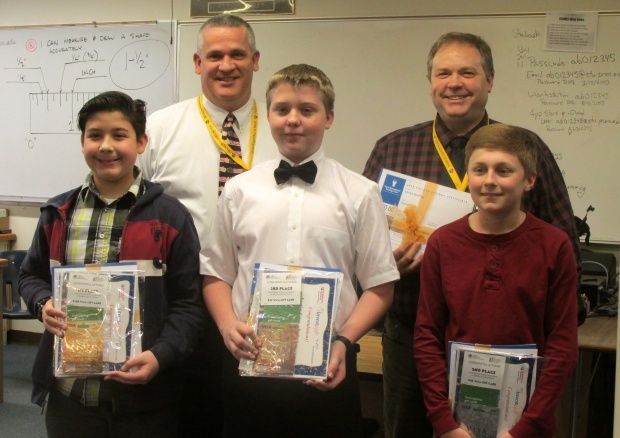 The InvestWrite award is open to students all over Utah, but our students shone above the rest! 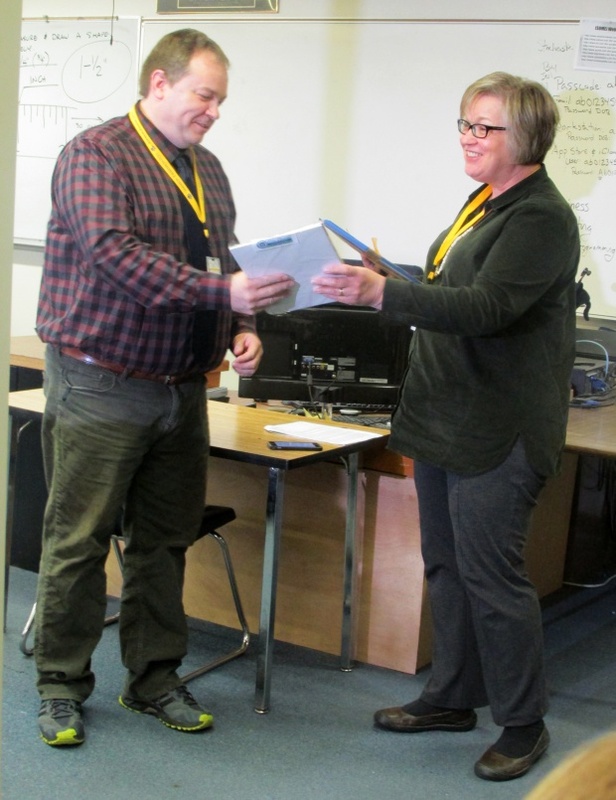 David Starling accepting another award for helping these students achieve at a high level. Daryan won 1st place, which awarded an $100 Visa gift card and a $50 certificate into an Utah Educational Saving Plan to invest into the market place. This is an automatic scholarship for college. 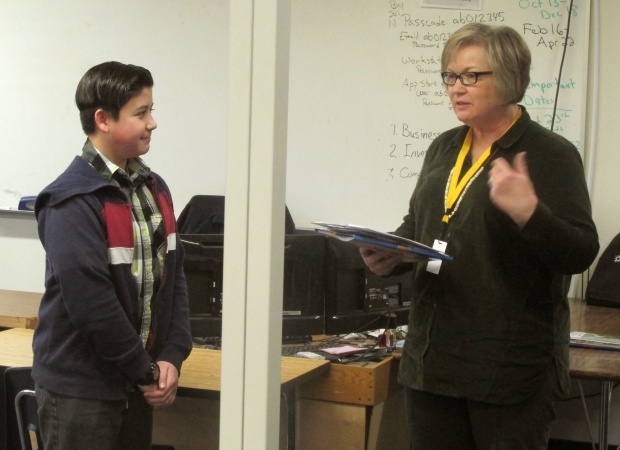 Daryan listening as Karen McMullin explains how his essay won 1st place. 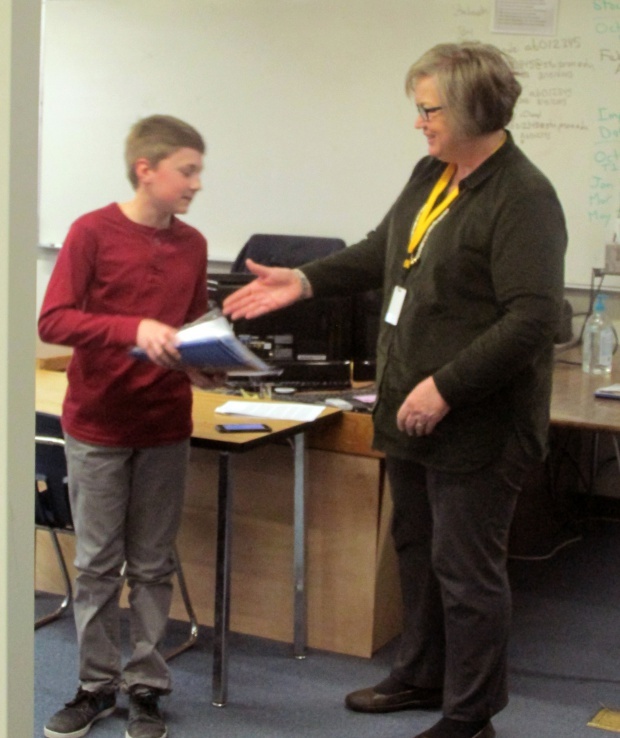 Cael won 2nd place, which awarded a $50 Visa gift card and a $50 certificate into an Utah Educational Saving Plan to invest into the market place. This is an automatic scholarship for college. Cael accepting a handshake for winning 2nd place. 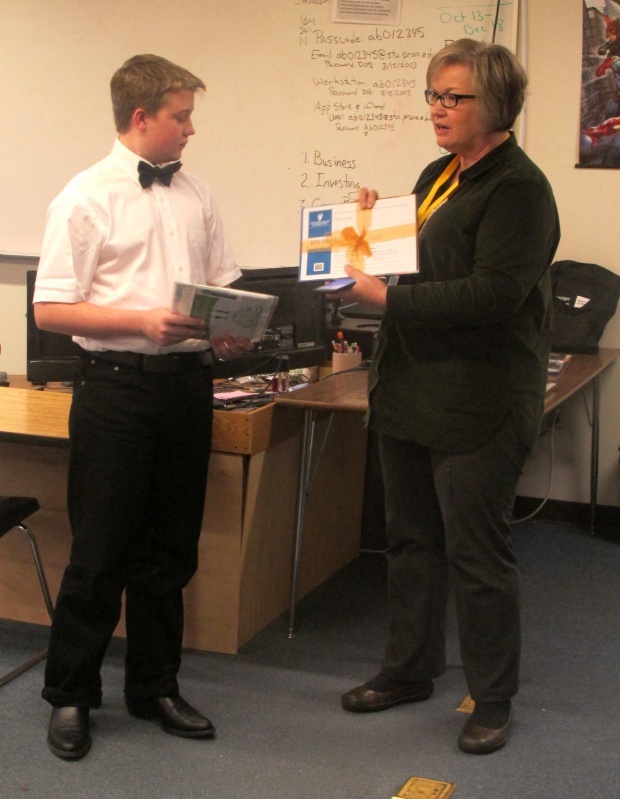 Justin won 3rd place, which included a $25 Visa gift card and a $50 certificate into an Utah Educational Saving Plan to invest into the market place. This is an automatic scholarship for college. Justin accepting his award for 3rd place. Finally, Mr. Starling was recognized for his achievement as a teacher and his encouragement to get his students programming for the future. Mr. Sites and Mr. Starling behind our winners with their awards.